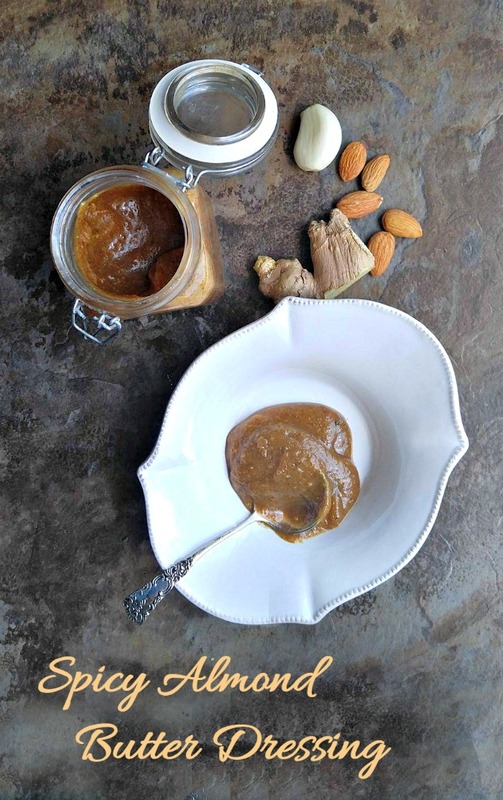 Looking for a tasty dressing for your lunch time salad? 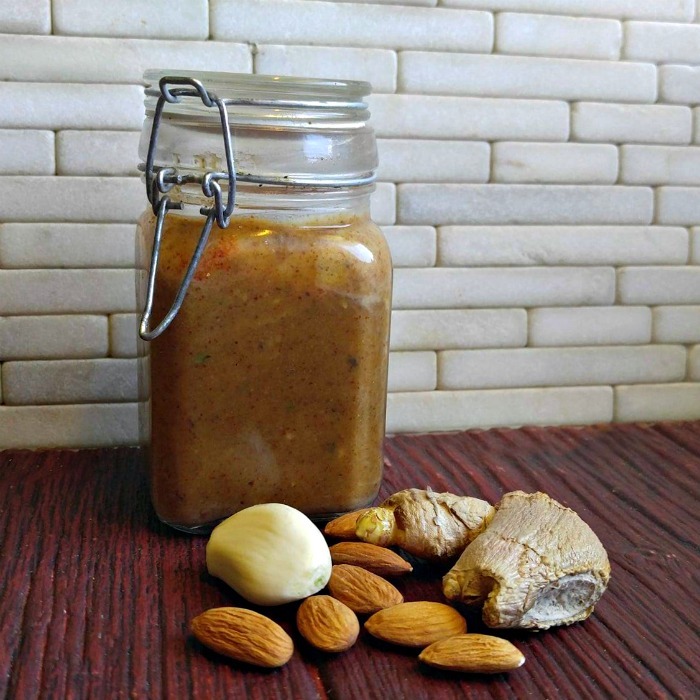 Give this delicious Spicy Almond Butter Dressing a try. It has an Asian flare and is perfect to serve on salads of spiralized noodles. It is one of my favorite Whole30 recipes. 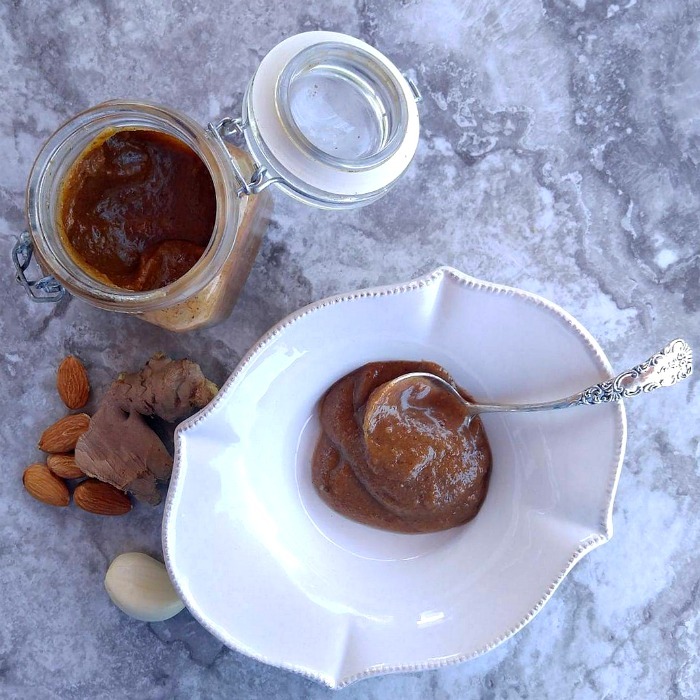 This yummy dressing is a lovely blend of natural almond butter mixed with olive and toasted sesame oils, fresh garlic and ginger, and coconut aminos. Red pepper flakes gives it a nice spicy kick. Lime wedges add a nice bit of tartness and fresh basil rounds out the dressing beautifully. 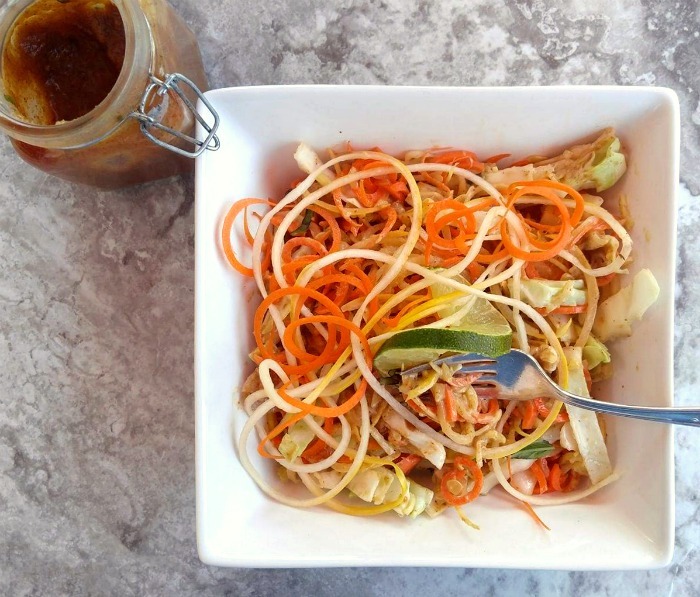 If you like spicy peanut sauce clinging to yummy noodles, but are trying to follow a Paleo or Whole30 diet, this dressing makes a great substitute for the sauce and “zoodles” make a great substitute for the noodles. The dressing could not be easier to make. Just place everything into a blender or food processor and give it all a good swirl. Store in an air tight container in the fridge for about a week. I love to use this dressing on top of “zoodles.” Since zucchini has a high water content, noodles made from them will sweat a little. This dressing is thicker than a normal salad dressing, but once the spicy almond butter dressing is added to thee zoodles, the consistency will be perfect and you won’t have to deal with watery zucchini noodles. Want to add the dressing to normal salad greens? Just add a bit more water or extra lime juice to get the consistency you want. 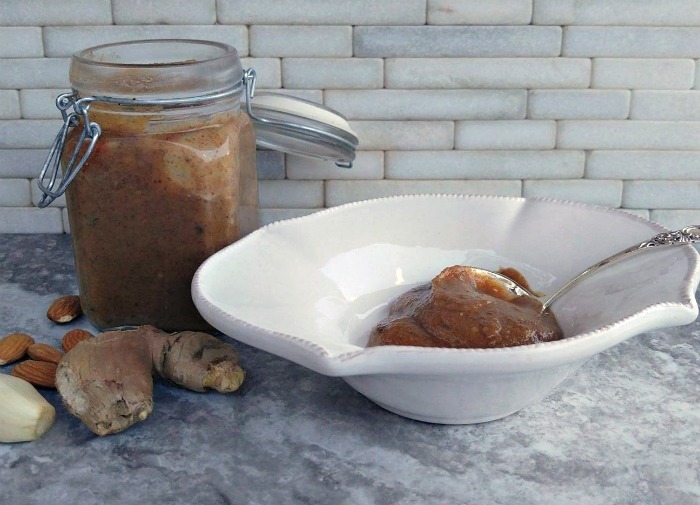 This dressing is tart and spicy with a distinct Asian flair. Toss on some lime wedges and slivered almonds when you dress the salad to add more tartness and give the salad some extra crunch.. This delightful dressing is the perfect way to dress up your spiralized veggies. it is full of heart healthy fats, so you won’t mind that there is no meat or other protein. It is quite filling all on it’w own. 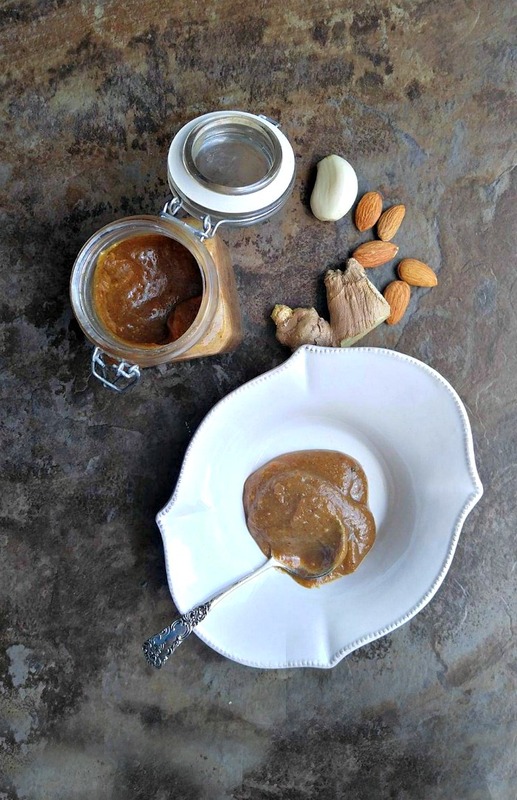 The dressing is gluten free, dairy free, Paleo and Whole30 compliant. It makes a wonderfully tasty clean eating salad! Be sure to check out my Asian Zucchini Noodle salad. 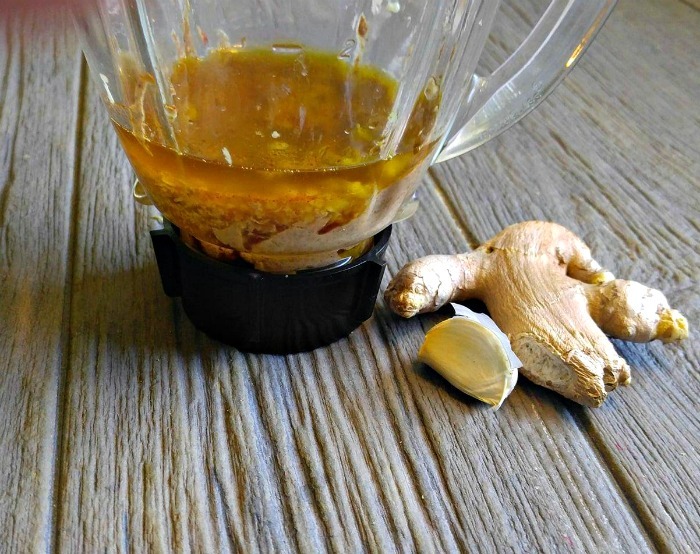 I used this dressing to add to it and it tastes amazing! In a food processor or blender, combine together all of the ingredients. The mixture will be fairly thick because I like to use it on zoodles which will sweat a little, so you will end up with the perfect consistency. If you plan to use it on a normal salad, just add a bit more water until you get the consistency that you want. Store in an air tight container in the fridge. Keeps well for about a week.